“Mom” has a new favorite when it comes to strollers! The Chicco Capri Ultra Lightweight Umbrella Stroller pops right out of the box, already put together and ready for action! With no assembly required, the Capri weighs a mere 11 lbs. and is packable, portable, and perfect for busy families who are always on the move. It comes with a removable and adjustable sun canopy, and features a 5-point safety harness with super-soft padded shoulder straps for ultimate comfort. The Capri is very light but it is extremely sturdy and durable, with an aluminum frame, front and rear wheel suspension, and lockable swivels on the front wheels. Whether you are hitting the park for a stroll, joining in on a stroller fitness class, or browsing the shops at the mall, this lightweight stroller can accomodate any situation. The Chicco Capri fits children ages 6 – 36 months, up to 37. lbs. and is available in brilliant, bright color options to suit any taste, including Tangerine, Alaska, Black, Citrix, Lipstick, Noce, Seventies, and Topazio. The Chicco Capri Ultra Lightweight Umbrella Stroller costs a reasonable $59.99, making it an affordable choice for your family. 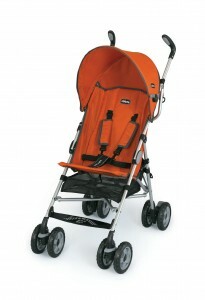 For more information, to locate a retailer near you, or to purchase online, visit www.chicco.com. Keeping kids healthy as school starts can be a difficult task, especially as routines transition from summer fun to more fixed schedules and expectations. Here are a few safe and natural ways to help your kids stay healthy throughout the school year, written by Kelly Wilson, an editor for Teaching Resource Center. For younger children who are concrete thinkers, the idea of invisible germs can be tough to grasp. This activity will help demonstrate that germs are all around us as well as how they spread. Put a small amount of lotion or petroleum jelly into each child’s hand, explaining that they need to rub them together. Sprinkle nutmeg over their hands, directing them to rub them together a second time for distribution purposes, and explain that the nutmeg is like germs we can’t see just with our eyes. Go through your normal routine, allowing the “germs” to disperse – a half hour should do it. Then, have your child try to remove the “germs” by using a dry cloth. Try a second time, this time using only cold water. Finally, remove the “germs” by using soap and warm water, washing for 20 seconds. Discuss with your child which way worked the best to remove the nutmeg “germs,” and investigate the room. Is there nutmeg anywhere else besides their hands? Explain that this is how germs spread, and use a cloth with soap and warm water to remove all traces of the nutmeg. Prevention skills are important for overall health. Kids can use these skills at home, during play dates, and throughout the school day to help stay healthy. Since the Swine Flu scare the last couple of years, antibacterial products of all kinds have become available. Unfortunately, many of these contain toxins that are ultimately not good for us. Invest in all-natural soap and cleaning products to help avoid toxic chemicals but still help your children stay healthy. Children don’t always like to wash their hands thoroughly (I know mine don’t), so I try to make it more fun. To be considered clean and germ-free, hands should be washed for a full twenty seconds, which is the equivalent of singing Happy Birthday through twice. In 20 seconds, you’re done! Instead of singing the same verse twice, work together with your children to make up a silly second verse. Another option is to use the tunes of other well-known songs, like Row, Row, Row Your Boat, Twinkle, Twinkle Little Star (also known as the ABC song) or My Bonnie Lies Over The Ocean. Your kids will love the chance to make up funny hand-washing songs to use over and over again! In spite of our best efforts, our children will get sick – this is normal. Our bodies are powerful germ-fighters, and illness helps strengthen our immune systems. The common cold is the most familiar culprit, lasting about two weeks. Symptoms are uncomfortable but, even with a fever, not dangerous. Nasal Irrigation – there are many products out there, including the neti pot, that will help clean out mucus naturally. Saline nasal spray also helps relieve congestion for shorter periods of time. Provide warm, hearty soups and hot tea with lemon. Avoid dairy products like milk or yogurt that promote phlegm production. Rest, rest, rest – sleep is a wonderful all-natural remedy for illness. Wait before going to the doctor – even with a fever, it’s important to give your children time to fight off a viral infection. Going to the doctor too soon can result in the doctor telling you that the illness is a viral infection which needs time to play out, or in unnecessary antibiotics. These safe and natural methods will help your kids stay healthy throughout the school year! Kelly Wilson is an editor for Teaching Resource Center, a Teacher Store providing high-quality, low-cost Teacher Supplies for over 25 years. Now you can win a FREE 6 month supply of Hint Water, a new zero-calorie, zero-sugar beverage! http://tinygreenmom.com/wp-content/uploads/2018/07/logo-sm.png 0 0 Tiny Green Mom http://tinygreenmom.com/wp-content/uploads/2018/07/logo-sm.png Tiny Green Mom2010-08-31 08:00:432010-10-07 15:25:20Win a 6 Month Supply of Hint Water! Created by holistic nutrition coach Maya F. Bradstreet, this recipe makes a perfect addition to any picnic fare or packs easily for lunch at the office, and the best part is that it is gluten-free, dairy-free and even tree-nut free! 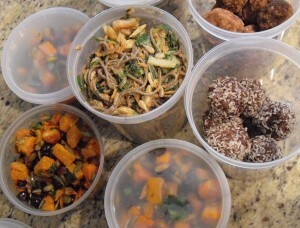 Prepare soba noodles according to package, rinse with cold water and set aside. In large bowl, combine nut butter, honey/agave, vinegar, tamari, and oil. Add garlic or ginger if desired. Add additional tablespoons of water if smoother consistency desired. Add soba noodles and toss to coat. Add remaining ingredients and mix to combine. Serve immediately – or refrigerate (tastes great the next day, or the next!). http://tinygreenmom.com/wp-content/uploads/2018/07/logo-sm.png 0 0 Tiny Green Mom http://tinygreenmom.com/wp-content/uploads/2018/07/logo-sm.png Tiny Green Mom2010-08-31 06:00:162010-10-10 19:19:49Asian Noodle "Slaw-Lad"
Beautiful skin is within reach! 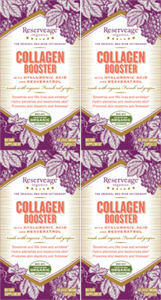 Reserveage Organics is currently offering a special deal on their Collagen Booster – Buy 3, Get 1 Free! Now is the perfect time to stock up on this patented supplement. For more information, or to take advantage of this special offer, please click here. Whole food nutrition at its’ best! In today’s busy world, achieving optimal health can be a challenge. Reserveage Organics Vibrance Multivitamin offers a wonderfully wholesome way to nourish both mind and body, and is currently the only organic Resveratrol-based multivitamin available. This unique formulation provides the benefits of a daily multivitamin with the added boost of resveratrol, the antioxidant found in red wine as well as the stems, skin, and seeds of grapes. 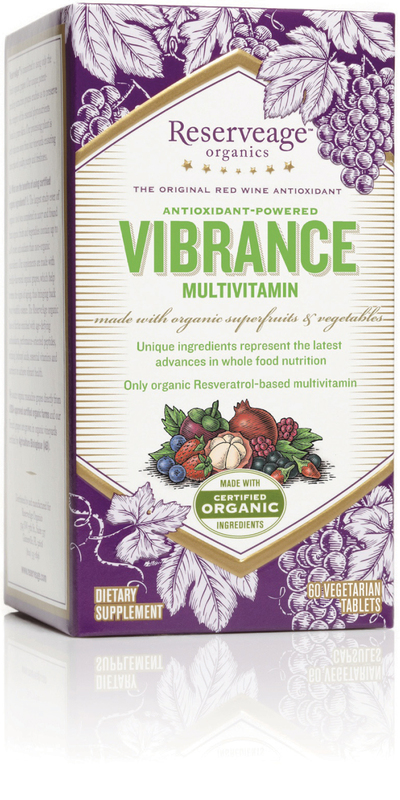 For those seeking to add the many benefits of resveratrol without imbiding red wine or eating grapes by the truckload, the Vibrance Multivitamin is an excellent option! For more information on the benefits of resveratrol, please click here. In addition to resveratrol, this multivitamin provides the benefits of a variety of known superfruits, including acai, pomegranate, mangosteen, and the goji berry. The Vibrance Multivitamin contains a proprietary blend of green superfoods, such as kelp, alfalafa, spirulina, chlorella, and barley grass, and a Super Veggie Powder Blend, which would put Popeye’s diet of spinach for strength to shame! This one little multivitamin certainly packs a powerful punch! For more information, or to order, please visit www.reserveage.com. For those of you who have not yet tried this fantastic organic skincare line, they are offering a free mini shower gel with the purchase of any haircare product! To take advantage of this offer while supplies last, please visit their website. 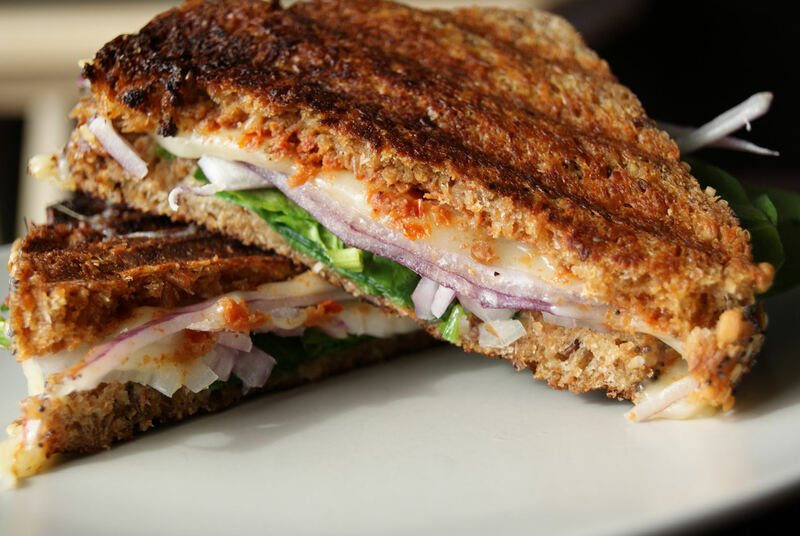 A new twist on a classic grilled cheese is this Veggie Melt from French Meadows Bakery. All dressed up with sun dried tomato pesto, red onion slices and spinach, it is a wonderful choice for a healthy lunch! Heat non-stick skillet or Panini press. Spread each slice with butter. When pan is hot place butter side down and spread pesto on slice. Add slice of cheese, onion slices, spinach and other slice of cheese. Top with other piece of bread and press sandwich down. Flip sandwich over and grill until golden brown. Slice in half and serve. 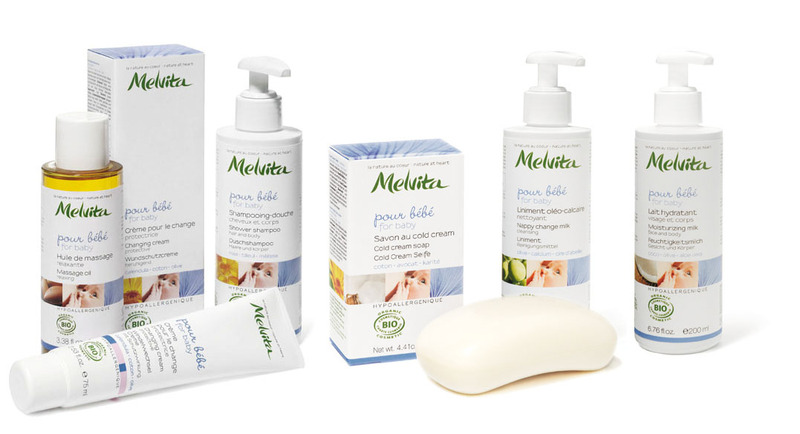 “Mom” recently had the distinct pleasure of being introduced to Melvita, the #1 organic-certified beauty brand from France. This lovely collection of organic products for both mothers and their babies is specifically formulated to be hypoallergenic, alcohol-free and oil-free – perfect for cleansing, soothing and protecting even the most sensitive skin. Tested by pediatricians and dermatologists, Melvita has created a full line for baby which includes: Shampoo Shower, Cleansing Milk, Moisturizing Milk, Changing Cream, Cleansing Water, Massage Oil, Nappy Change Milk, and Cold Cream Soap. “Mom” especially found the Cleansing Water to be a unique concept – this refreshing water for babies can be applied with a cotton pad or washable wipe, and leaves tender skin clean and smelling sweetly without having to immerse your little one in water. Perfect for times when you need to clean up baby quickly, especially while on-the-go! Another favorite is the Massage Oil, which contains Calendula, Argan and Carrot Oils. This light, relaxing oil glides on without feeling greasy and is wonderfully soothing to baby. 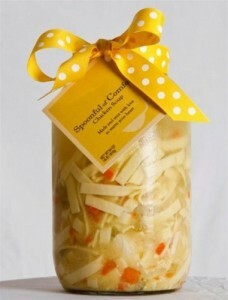 This organic line makes a wonderful baby shower gift for both the mama-to-be and her eagerly awaited child. To learn more about Melvita, or to order their organic products for baby & mum, please visit their website. Melvita offers skin, hair and personal care for the whole family as well as nutritional supplements and its own line of organic honey, that retail between $3 and $56. Founded in the Ardèche, France by beekeeper and biologist Bernard Chevilliat in 1983, Melvita (meaning “honey and life” in Latin) has always been a passionate advocate for the complete organic lifestyle. Each of Melvita’s products carries the prestigious ECOCERT certification, certifying its products are organic and ecological, including packaging and company practices. For more information and to view an inspirational video that explains the heritage and mission of Melvita, visit http://usa.melvita.com.